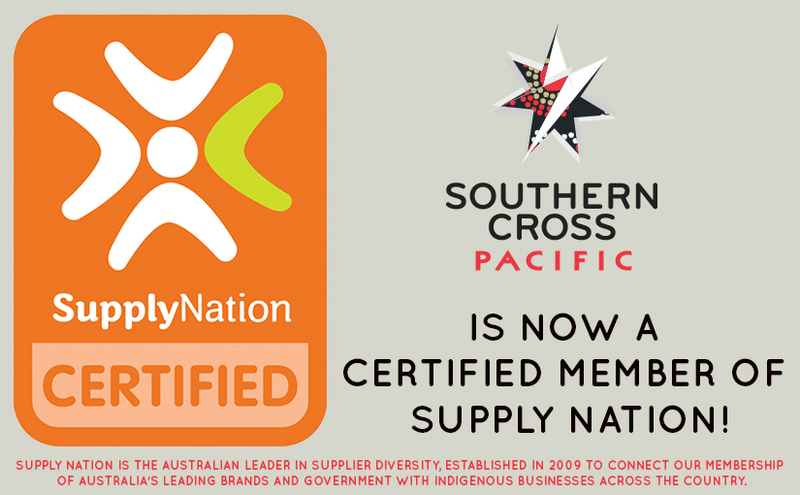 We are happy to announce that Southern Cross Pacific is now a Certified Supplier with Supply Nation, Australia’s leading directory of Indigenous business and procurement. This Certified Membership recognises Southern Cross Pacific as an organisation which is legitimately managed by an Indigenous Director and contributes to the advancement of Aboriginal and Torres Strait Islander peoples. Explore opportunities to meet, connect, mentor and work with Supply Nation Certified and Registered Indigenous business owners and managers.